Very Good Security (VGS) is a data security company that lets companies operate on sensitive data without the cost or liability of securing the data themselves. What makes VGS different from other data security software is the fact it’s built on the premise that malicious parties can’t hack what isn’t there. The proposition VGS has for the future of data security and privacy is Zero Data. Meaning you have the option to just not deal with data at all. You can run your business and operate with that data while leaving the custody of that data in the hands of VGS. The idea is like a bank, we give our money to a bank, we don’t try to secure it in our own homes, because we trust banks to be secure and know our money is insured and available to us when we need it. How does it work? VGS collects and stores sensitive data in its own highly-secure vaults. When customers require access to that data, VGS identifies the sensitive data in transit and—in real time—swaps it out with aliased or surrogate values that retain the same format and functionality of the original data. Once customers have fully integrated VGS, they’ve removed their system from any direct exposure to sensitive information. This eliminates most customer liability while drastically reducing risk exposure and compliance responsibility. By shifting secure data flows to VGS, customers can also manage how third parties interact with sensitive data without worrying about data breaches. This means customer dataflows inherit VGS’ security posture and that customers can use VGS as a central control surface to manage and evidence the security of their data that makes compliances like PCI, EI3PA, SOC 2, and HIPAA fast and easy. Last year, VGS raised $8.5 million via a Series A funding round led by Andreessen Horowitz. This funding has allowed VGS to scale operations and grow the number of customers it supports. 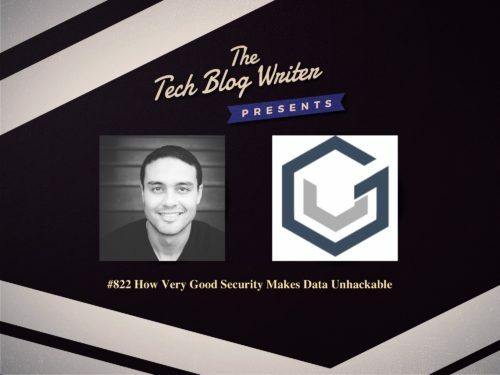 I invited Mahmoud Abdelkader, Co-Founder & CEO at Very Good Security who shares his startup journey and the road ahead for VGS.